“I don’t like it when it’s obvious,” Lutz Huelle tells me about his designs ahead of his first fashion show in Germany last Friday night. Earlier that day, Huelle met with the German Chancellor, Angela Merkel, before presenting a selection of his favourite looks from the last two seasons in the hallowed halls of Berlin techno Mecca, Berghain, for MBFW. The glaring juxtaposition of these two events proves that Huelle is nothing if not unpredictable. 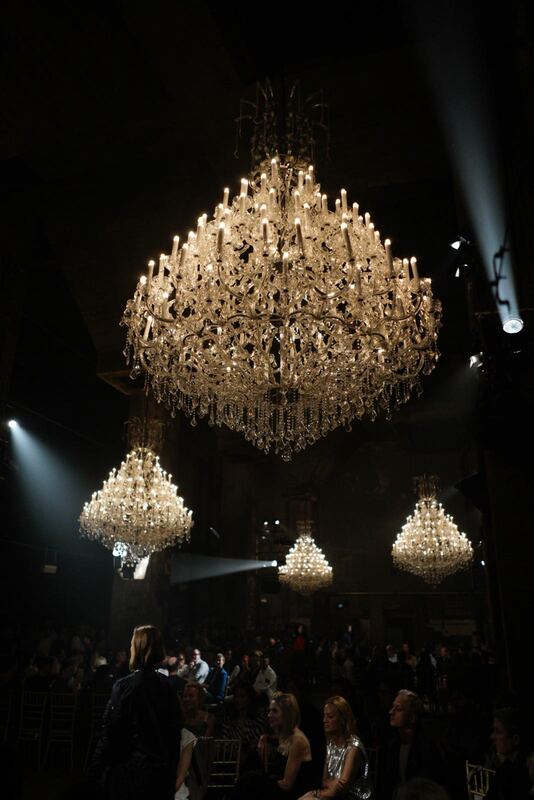 And, as the first model stepped out into the cavernous space — incandescent under the glow of splendid chandeliers — to a virtuoso string composition by Vivaldi, it was clear that nothing about this spectacle would be obvious or expected.